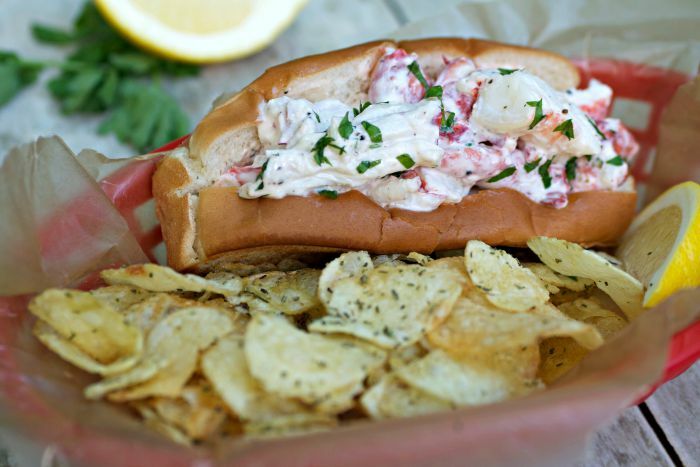 In a small bowl, combine the cooked lobster, mayonnaise, and black pepper and mix well. Set aside. Heat a small skillet over medium-high heat. Spread softened butter on each side of hot dog roll and place buttered side down in heated skillet. Cook until both sides of roll are lightly brown. Remove to a plate. 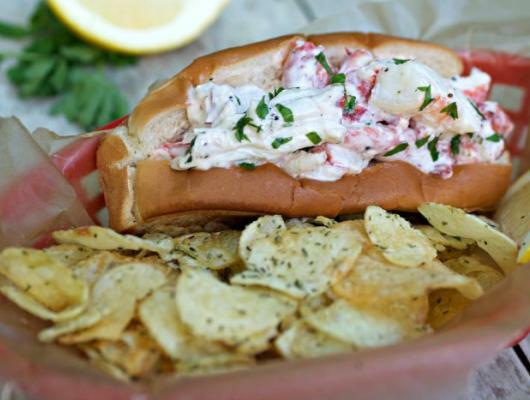 Divide the lobster mixture between the two rolls and serve with lemon wedges.